The surface of Mars, beneath which there is permanent liquid water. There’s water on Mars. That raises the odds of extra-terrestrial life. 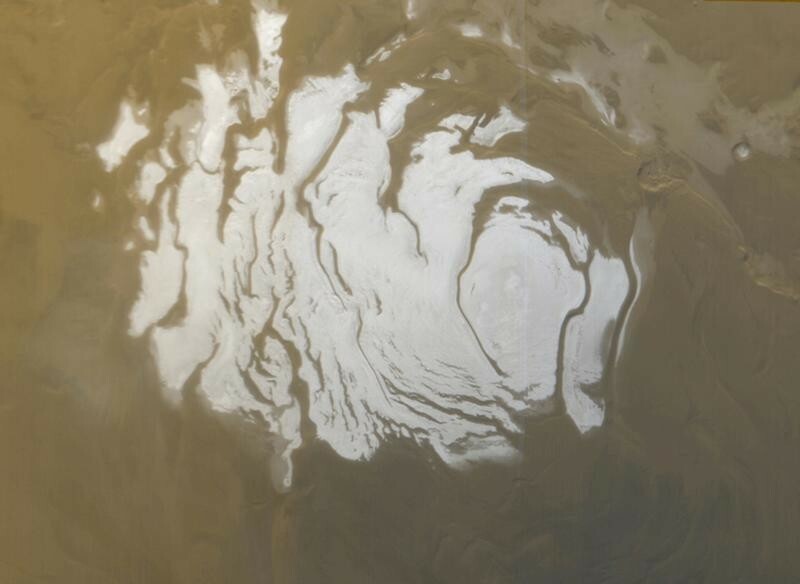 The south polar cap of Mars as it appeared to the Mars Global Surveyor (MGS) Mars Orbiter Camera (MOC). The big bucks. The future salaries of different college degrees. Egg freezing and test tube babies. The science and art of preserving fertility. Cultural relativism for robots? How to choose an ethics for AI. More suicides. The many ways climate change threatens health. Green prices and policies. How an Indian state became a renewables leader. They’re murdering activists. The most dangerous places to protect the environment. Learn to lose. How to stop censoring yourself and overcome anxiety. How cosmic is the cosmos? Buddhism and the Big Bang. It’s not just Russia. Cyber-enabled influence operations span the globe. How Silicon Valley became a den of spies. It’s not ready to fight back.